Relocating to the Research Triangle Park and Raleigh Area? 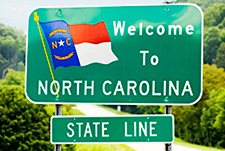 If Relocation to the Raleigh / Durham / Chapel Hill area is in your plays we’re your source for in depth local information and expert real estate services. Due to the large university presence (NC State University in Raleigh, Duke University in Durham and University of North Carolina in Chapel Hill) and global companies with headquarters and satellite offices with the draw for great jobs and lifestyle makes RTP (Research Triangle Park) a destination for so many. Also, we have an excellent network of top Realtors. As such we can connect you with the right agent to help you sell your home while we’re helping you to buy your next home in Raleigh, North Carolina. If you are interested in buying a property in the areas of Raleigh, Cary or Wake Forest and/or selling your home, visit our website, give us a call at: (919) 559-3173 TODAY! We look forward to talking to you!